As the founder and co-chairman of Bridgewater Associates, the largest hedge fund in the world, Ray Dalio‘s one of the most successful investors and entrepreneurs, and among the wealthiest people. He’s the author of the bestseller “Principles: Life and Work“, one of the most recommended book by entrepreneurs in the past year, since it was published. In his book, Ray shares the unconventional principles that he developed and refined in over fourty years, since he launched Bridgewater Associates. His firm has a unique culture that embraces values such as radical truth, transparency, principle-based decision-making, building meaningful work and relationships, which in turn led to excellence and innovation. As a result, the firm has a deep understanding of how global economy works, and manages $160 billion for 350 of the largest global institutional clients. Ray believes that everything happens over and over again through time and, by studying the patterns, we can better understand the cause & effect relationship between events, and develop principles that can help us deal with them. For the tenth anniversary of the 2008 financial crisis, he’s releasing a new book called “A Template for Understanding Big Debt Crises“, where he shares how debt crises work, their history, a framework for understanding the financial system, anticipate crises and navigate through them, while also producing significant positive returns. 1. The Archetypal Big Debt Cycle (which explains the template). 2) 3 Detailed Cases (which examines in depth the 2008 financial crisis, the 1930’s Great Depression, and the 1920’s inflationary depression of Germany’s Weimar Republic). 3) Compendium of 48 Cases (which is a compendium of charts and brief descriptions of the worst debt crises of the last 100 years). The new book will be available as a PDF for free download (sign up here), or ordered from Amazon as an ebook or hardcopy. Coming September 10th. And if you didn’t get to read “Principles”, go ahead and buy it now! It’s a must-read classic business book. 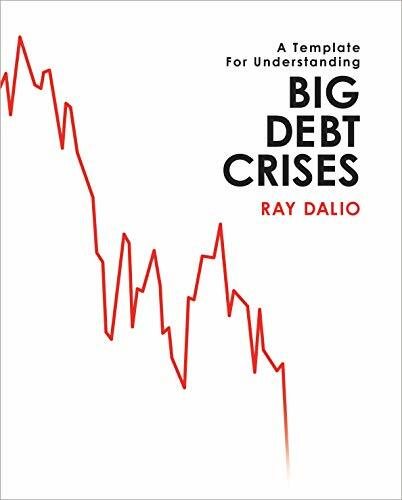 i want to buy the hard copy Ray Dalio a template for understanding big debt crises…….the hard copy is not sold at amazon.com , only the paperback…….i went to the simon and schuster publisher of this book and no information about the book ……where can i purchase the hard copy? It isn’t out yet. The paperback will be available starting October 15th, but no news on the launch date for the hard copy. I am wondering if you know will this book be released as an audio book . I only ask this because I am chronically dyslexic . Any information would be thoroughly appreciated . Thank you . Hello, will this book ‘A Template for Understanding Big Debt Crises’ get the PDF format as free ?